Bringing China and the US closer through education. We play a very small part in establishing more commonality between two influential countries. 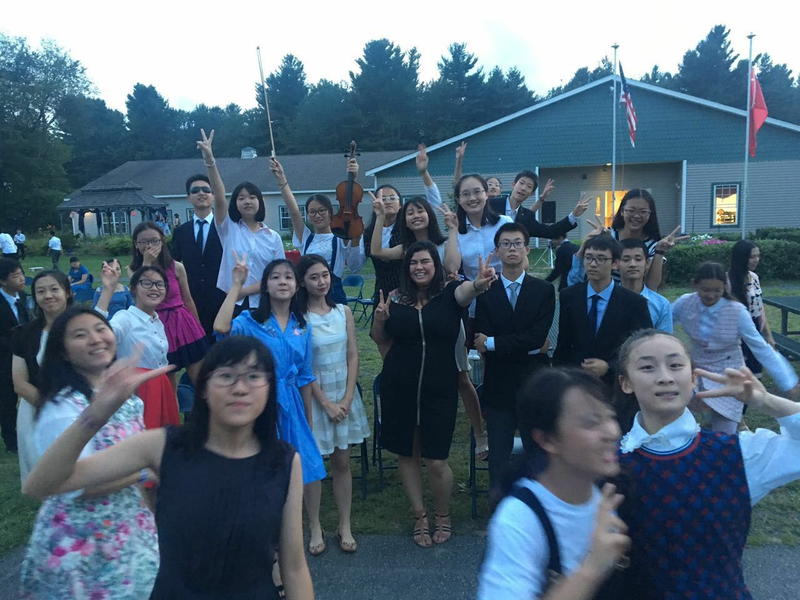 Whether it’s filling the halls of Kemsley Academy in Massachusetts with 200 Chinese students over the summer or helping to host American high school performing groups in China, we are building friendship and understanding among students and educators on opposite sides of the planet. Together with Tsinghua University, the top-ranked university in China, we host the USA-China High School Education Forum, attended by heads of secondary schools in both countries. We also run a summer program for Chinese and American youth for a week at Tsinghua, two weeks at Harvard, and a week at MIT. These are just a few examples of how we play our small part. Arriving from overseas and starting school in the US can be an intimidating experience. Students arrive jet lagged in an unfamiliar culture. Once school begins, so do the challenges. Imagine sitting in a US history class, having never heard the names of the people and places, or opening a math book to find that you have no idea what the questions are asking. Educators at schools that accept international students are very familiar with the cultural issues that both the schools and the students face when students arrive unprepared. Transition training at Kemsley Academy helps new students to acclimate to the country, English academia language, and the boarding school environment at the same time they are learning important skills to help them adapt and succeed when they start high school or college for the first time in the US. Overseeing student transition to life in America. Simplifying holiday logistics for students and their schools. Boarding high schools face a dilemma each time they close their doors for a holiday - what to do with international students that don't have a place to stay. The Dean of Students is usually scrambling before each holiday to get the families of other students or homes in the local community to take the international students in for the holidays. Now there's a better solution. Kemsley Academy has nice dorms, good Chinese and American food, and a beautiful environment. Students will celebrate the holiday with the staff, and can opt to receive intensive SAT or TOEFL training. They'll also have a chance to visit important universities and to do some shopping at name brand outlets.